When the lowest person in the world was a child, he was dreaming about being the holiest, most glorious person in the world. But something happened. Someone destroyed his dreams, and he gave up on the world. It is so easy to lose our dreams. Why? Because nobody really encourages them. If someone can bring me back to the dreams I once had, he is my best friend in the world. This is what Chanukah does. This is why Chanukah is the greatest, deepest holiday in the world. On Chanukah, God gives us back our dreams. 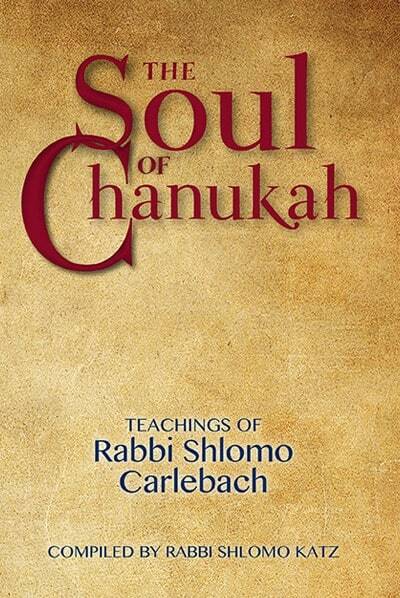 In this volume, the unique teachings and insights of Rabbi Shlomo Carlebach are shared with a depth and relevance that is rarely appreciated. Eight days of fascinating and important ideas – a lifetime of inspiration and connection.